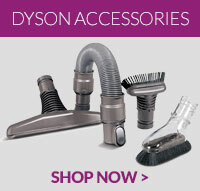 This is a genuine Dyson end cap brushroll for Dyson DC25 vacuum cleaner models. Hold your Dyson b.. This item is a genuine spare part for your Dyson DC25 vacuum cleaner .. This item is a genuine spare part for you Dyson DC25 vacuum cleaner .. If you need to replace the switch on your Dyson vacuum cleaner which turns the cleaner head on or..